What’s more intriguing is what else Stasior might find himself working on — presumably, strengthening Apple’s search and search advertising technology in the wake of its increasing competition with Google. Apple has recently tossed Google’s mapping technology from its latest version of its iOS 6 operating system and could eventually remove it as a search option too on its popular smartphones and also its other computing devices and software. Never say never, but people are searching less for the first time in history, and Apple is a future-thinking company. Simple web search is the now, what's the next? There's no greater hint than Apple putting Stasior in charge of Siri. 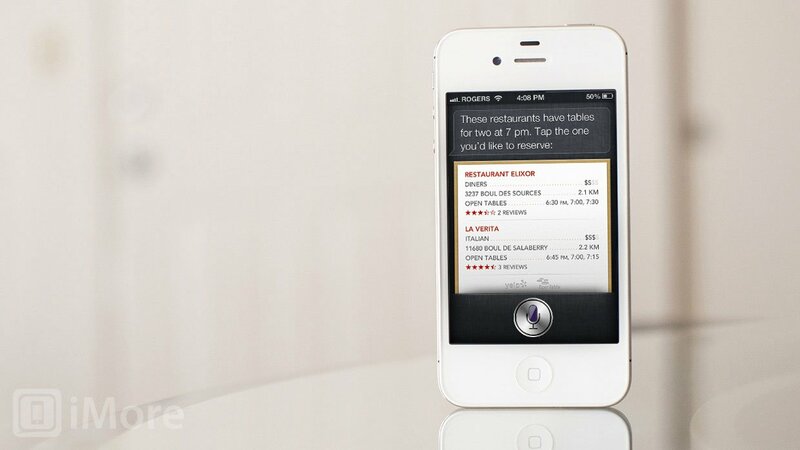 Siri is, at its core, an evolution of search. It searches for weather, sports, movies, your music, contacts, apps, and it searches the web. But it does so in an intermediated way, where best-of-breed information sources are lined up for specialized results, including Yelp, Wolfram Alpha, Open Table, and Google. Stasior comes from a team at Amazon that was responsible for Amazon’s cloud search abilities, and much of the work on cloud search includes scalability of the system, something Siri will need as Apple rolls out more features, and more consistent features. Natural language may or may not be the next big thing, and Siri may or may not be the way natural language interfaces get popularized, but if they are and if Siri is, Apple needs to have it rock solid and ready. Stasior could help make that a reality.